When upgrading an existing instance of the Report Server which uses Microsoft SQL Server storage to a newer version, the installation fails at the "Starting services" step and then rolls back the upgrade. The Report Server installation installs and runs an instance of the Telerik.ReportServer.ServiceAgent service which is a local Windows service. By default the Telerik.ReportServer.ServiceAgent runs under the Local System account (NT AUTHORITY\SYSTEM). 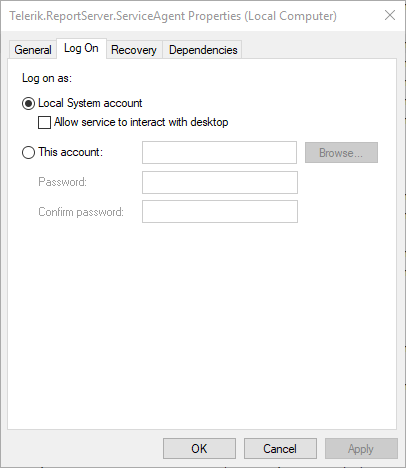 When this account does not have login permissions for Microsoft SQL Server the Telerik.ReportServer.ServiceAgent cannot start because it cannot connect to the database configured in the Report Server storage settings. This is the reason for the installation failure at the "Starting services" step. 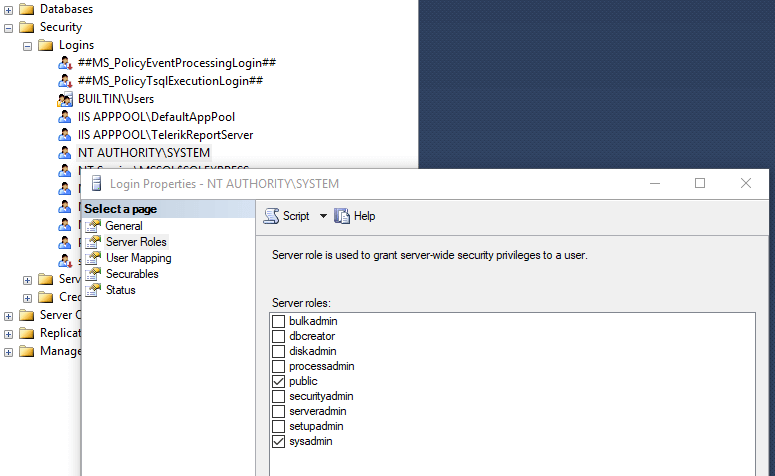 Grant the required permissions to the NT AUTHORITY\SYSTEM account, so it can access the database configured in the Report Server storage settings. Change the account under which the Telerik.ReportServer.ServiceAgent service is running to an account which has permissions for the storage database.